Working in close partnership with PREA is Allegheny Electric Cooperative, Inc. (Allegheny), a generation and transmission cooperative. Also based in Harrisburg, Pa., Allegheny provides the power requirements for the 14 rural electric distribution cooperatives in Pennsylvania and New Jersey. Formed in 1946 by these cooperatives, Allegheny’s mission has been to provide electric cooperative consumers with a reliable supply of energy at a competitive price. In doing so, Allegheny has been very active in meeting its members’ desire to support conservation, provide clean and renewable energy generation, and ensure a secure energy future for electric cooperatives. 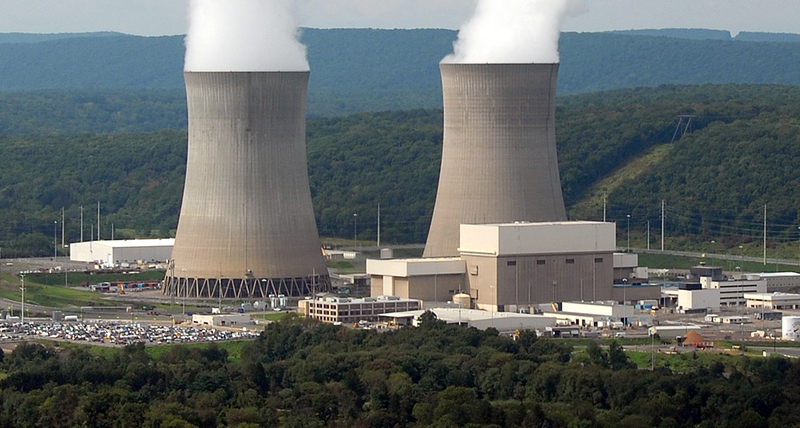 Allegheny has a diversified power supply portfolio with significant investments in nuclear and hydropower resources and minimal reliance on carbon-based fuels. About 65 percent of Allegheny’s energy supply comes from these clean, stable and relatively low-cost resources. Allegheny owns 10 percent of the Susquehanna Steam Electric Station, a 2,600-megawatt, two-unit nuclear power plant located in Luzerne County, Pa. Talen Energy Corporation owns the remaining 90 percent and operates the boiling water reactor facility. Allegheny also operates the Raystown Hydroelectric Project/William F. Matson Generating Station (Raystown), a two-unit, 21-megawatt, run-of-river hydropower facility located at Raystown Lake and Dam in Huntingdon County, Pa. In 2007, Raystown earned the distinction of being the first hydroelectric plant in Pennsylvania to be certified as a Low Impact Hydroelectric Facility by the Low Impact Hydropower Institute (LIHI), a non-profit organization dedicated to reducing environmental impacts of hydropower generation. The certification continues Allegheny’s high standard of environmental stewardship. Allegheny has been at the forefront of initiatives to control peak demand and assist consumer-members in the development of renewable generation systems. The Coordinated Load Management System, a demand-side program that has been in place since 1986, helps shift electricity use of hot water heaters and other appliances from times of peak demand to off-peak hours. By doing so, the voluntary program improves system efficiency, cuts costly demand charges and reduces the need for new generating capacity. The system is being updated to include state-of-the-art automatic meter reading, load control and smart meter/smart appliances capability. Allegheny and PREA have also worked to develop a program to assist cooperative consumer-members who want to install a clean energy generation system at their home or farm. The Renewable Energy Assistance Program provides grants to electric distribution cooperatives to help cover various interconnection costs, such as metering equipment and distribution transformers. It also pays for certain transitional costs to help ensure that other electric cooperative consumer-members are not required to subsidize the operation or installation of small renewable energy generation systems — whether the system is an anaerobic digester, wind turbine or solar array.